The big day IS HERE!!!! Launch day is HERE!! I have been at my local chiropractor doing a black bean brownie tasting event for the cookbook launch. 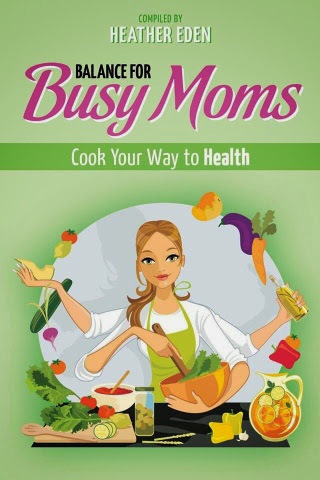 It has been so fun connecting with busy moms who are finding near recipes to try out. July 4th is almost here!! about doing something different? Of course you could still grill out, but throw something different on the grill! Like black bean burgers, or healthy French fries made of sweet potatoes? One of my favorite grill out drinks is Tea Soda. First, make a very concentrated version some of your favorite herbal tea and pour it over chilled carbonated water! Don’t forget to add frozen peach for ice. I am all about traditional, but with a twist. Twist things up and give your family healthful foods that are fun and exciting. Do not forget to add in the strawberry sorbet for dessert. Watch my video on how to make it here: http://bit.ly/HFJstrawberrysorbet It just takes a second to whip up, and it is SO refreshing. 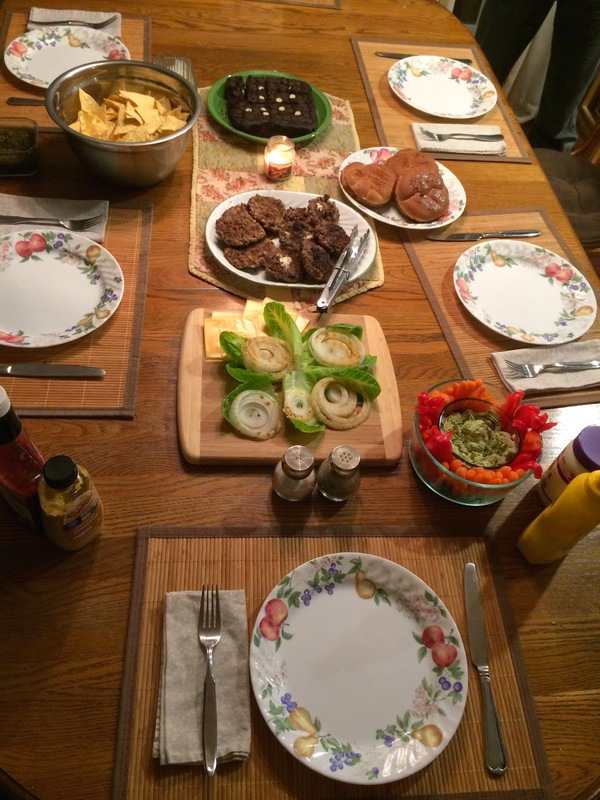 Enjoy feeding your family and they will feed you with love and awesomeness! 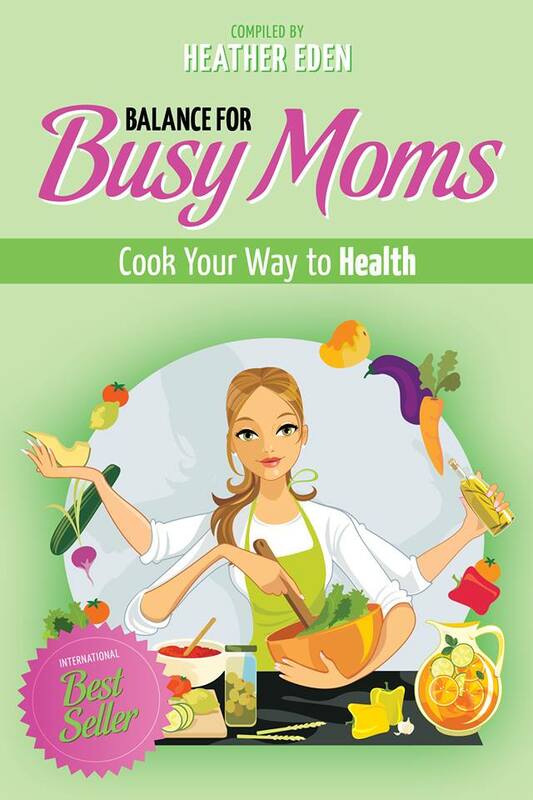 If you want more recipes, try out the www.BalanceForBusyMomsTribe.com FREE for 30 days to get my monthly eCookBook with more great nutritious ideas for you and your amazing family! Life is full of transitions. From finding a job to getting married to having a baby, we are constantly faced with change. Avelist is a website where people can go to navigate these life transitions by learning from people who’ve been there before. Becoming a mom is one of the biggest changes a person faces in their life. Working at Avelist, I see moms use our platform to ask each other questions and give advice all the time. I’ve noticed that a lot of expecting mothers are concerned with their diet. A lot is said what they should be eating during their pregnancy, but what about what they shouldn’t? Pregnancy is the only time in your life what you eat directly affects another living being. When you become pregnant your immune system weakens making you more susceptible to food-born illnesses. Women who contract food poisoning are much more likely to experience pregnancy compilations or even a miscarriage. So pay attention – this is important stuff! One of the biggest concerns for pregnant women is avoiding foods contaminated with the bacteria listeria. This bacteria is one of the main culprits of food poisoning and is found in unpasteurized products such as soft cheeses and fresh juices. It can be also found in deli meats or undercooked/raw meat. Listeria has the potential to be fatal to your baby, so if there is even a question the answer is always better safe then sorry! Just as important as what to avoid, is knowing what pregnancy diet myths to not buy into. The first myth is that pregnant women should eat for 2. While technically you will be providing nourishment to both you and your baby during pregnancy, this does not mean you should double your caloric intake. This in fact can be harmful to your pregnancy. It is advice that women should only increase their intake by about 300 calories during the second and third trimesters. The second myth is that the foods that pregnant women crave are always a reflection of their nutritional needs. False. Pregnant women will crave all sorts of strange foods many of which are not healthy options for their babies. It is important to be mindful about making quality choices about your pregnancy diet instead of merely listening to your cravings. If you want to learn more about eating healthy during your pregnancy and specific examples of what foods to avoid, check out this full list of What Not To Eat When Pregnant! Today's post was brought to us by a guest blogger Wilhelmina Ryan. Thank you Wilhelmina for these great tips! Wilhelmina Ryan works in the marketing department of Avelist. Avelist is a platform that moms can use to share tips and recommendations with each other. Have you been searching high and low for a super rich but easy to make dessert? You really cannot get much easier than the "Framboise Ganache Tart." It is chocolate ganache (melted chocolate and cream) poured over fresh raspberries in a tart shell. 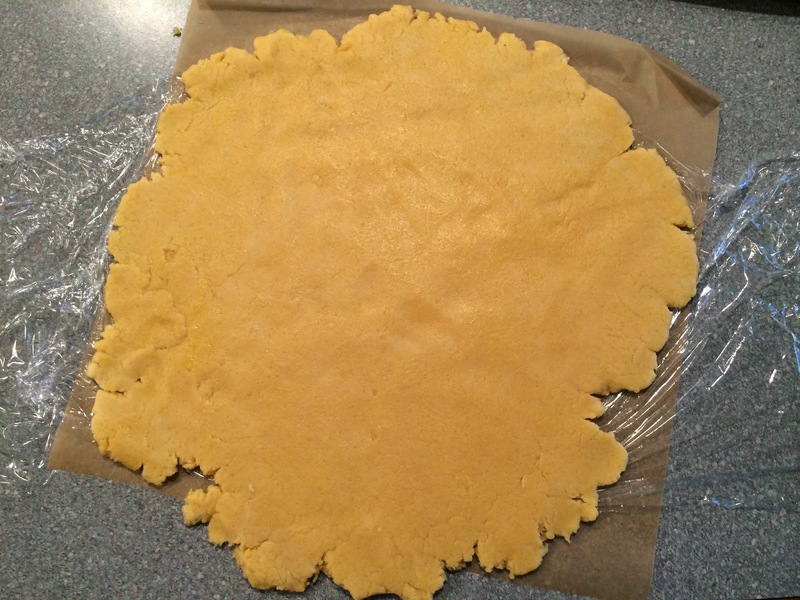 Carefully line tart pan with dough. I didn't have a tart pan here so I used a fluted edge pan for the same effect. Cover raspberries with ganache and set in refrigerator for at least 2 hours before serving. For serving make sure you slice the tart carefully with a hot knife. Place your knife in a bowl of hot water for a little while so that it melts the chocolate and gets a clean cut. For a garnish, I whipped some cream and piped it on the tart then I rolled a raspberry in vanilla infused raw sugar and placed it on top. Chocolate Ganache is used for many things. I use it to fill cupcakes, ice cakes, make tarts and dip fruits in. 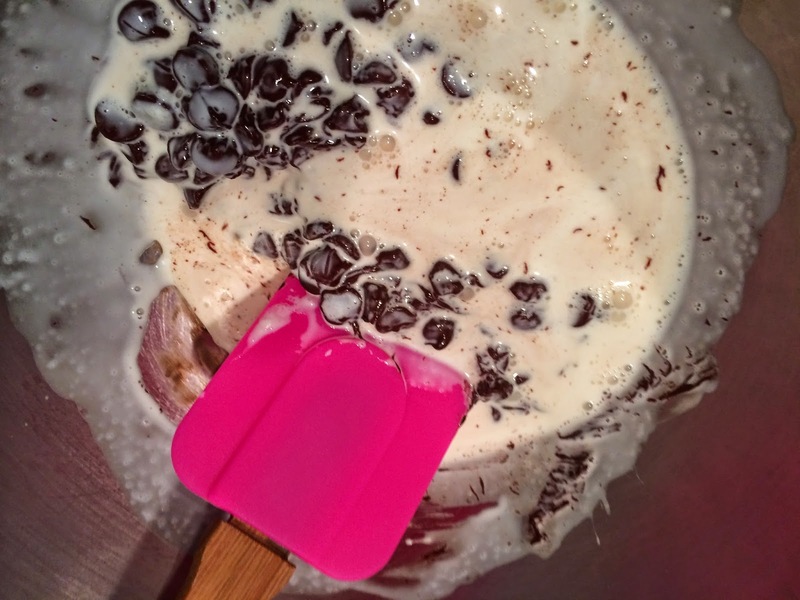 It will not harden like regular melted chocolate because the cream helps it stay soft. Smooth chocolate ganache ready for enhancing your favorite dessert. It is hot outside, so I am in the kitchen making cool stuff. What is more refreshing and cooling than a Summer Strawberry Sorbet? I have made this delicious recipe several times already this week! You will find it very simple to make because it is all made in the blender. It can't get much easier than that! 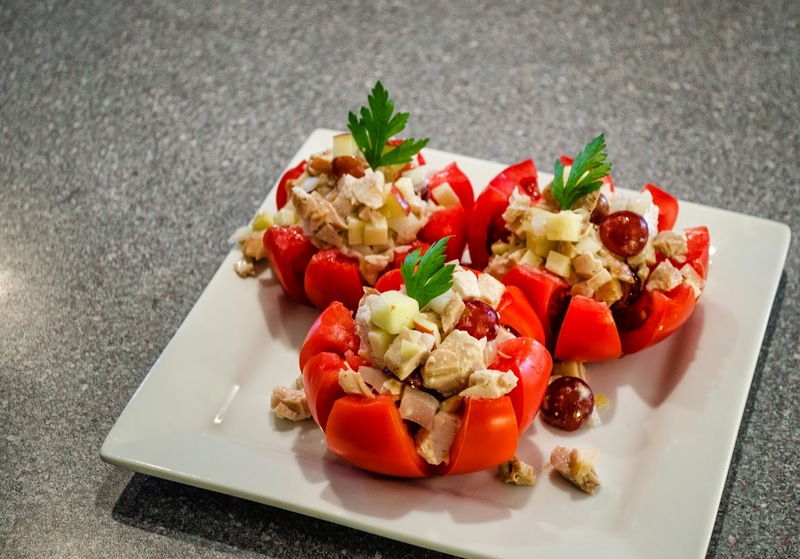 Free recipe video for Chicken Salad Stuffed Tomatoes, yum! Hannah's Food Journey is now live on a weekly cooking show! Here is the second episode which is a free recipe for Chicken Salad Stuffed Tomatoes! 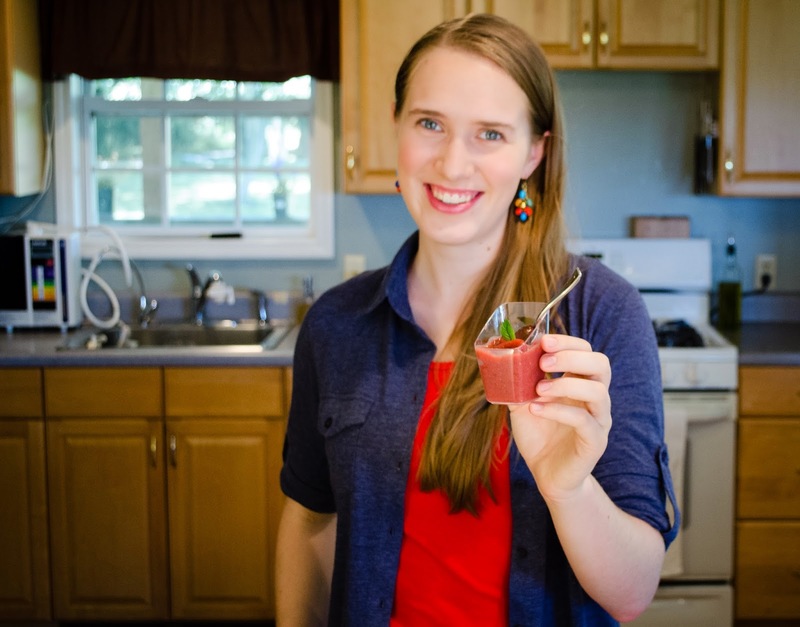 This is the first week with Hannah's Food Journey LIVE! I am now videoing weekly recipes to inspire you and your family to get in the kitchen! 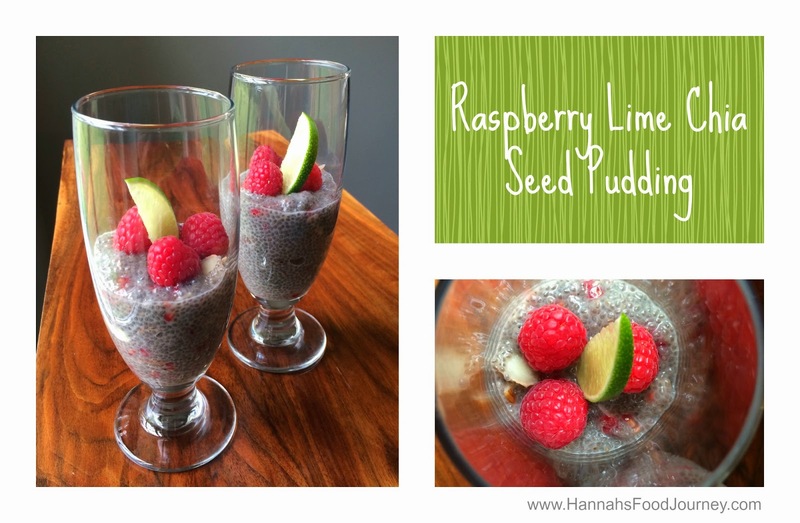 The first episode is a recipe for "Raspberry Lime Chia Seed Pudding." It is a super easy recipe and you will be glad you made it. The first time I made it, it certainly did not last long, it all got eaten! Its sweet, its tangy and loaded with healthy vitamins and nutrients. Check out the first episode at my YouTube channel. Enjoy, let me know what you think and subscribe to my channel so you don't miss the next video.